Drs. Daniel Butensky, Richard Procopio, and David Dersh provide outstanding general dentistry services for patients of all ages who visit the Dental Studios. Whether you’re interested in the latest innovation in preventive dental care, cosmetic dentistry, or restorative treatments, you can trust the team of experts to care for your smile from childhood all the way through your senior years. Call today for an appointment at their Summit and Westfield, New Jersey locations. For convenience, try their patient-friendly online scheduling service. Some dentists focus on one specialty or another, such as pediatric dentistry or periodontal disease. As a team of generalists, Drs. Butensky, Procopio, and Dersh are primary care dentists who provide dental care to all age groups. 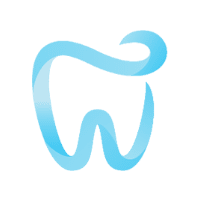 Their warm and friendly personality and extensive skills make them an excellent choice for family and children’s dentistry as well as senior dental care. Their professional training equips him to diagnose, treat, and manage all aspects of your overall dental care. What if I need a tooth extraction? When a tooth is not repairable, Drs. Butensky, Procopio, and Dersh may recommend extraction. They keep your comfort a priority during extraction and uses numbing agents liberally when necessary to prevent pain. For more complex procedures, they may recommend conscious sedation with nitrous oxide (laughing gas) to help you relax. Drs. Butensky, Procopio, and Dersh are also very selective when it comes to tooth extractions, and doesn’t hesitate to refer you to an oral surgeon if he feels that’s your best treatment option.